A yacht sailing experience gift voucher makes for a superb present starting from Hamble on the Solent, on the South Coast of the UK. Chose from a Yacht Sailing Weekend Experience, Sail Around the Isle of Wight , Cross Channel Cruise, Round the Island Race Event or even a Canaries Sailing Holiday. All make the ideal present for those wanting to start sailing or improve upon their skills with some consolidation. Print off your electronic voucher and pop it in a Birthday, Christmas or Anniversary card to make a special present. You can either buy a complete experience or ask for a specific value towards an event (starts at £100). Each event detail is on the particular web page but often we have documents with further information that we can also send you. No need to set a date immediately – sailing gift vouchers are valid for 12 months. 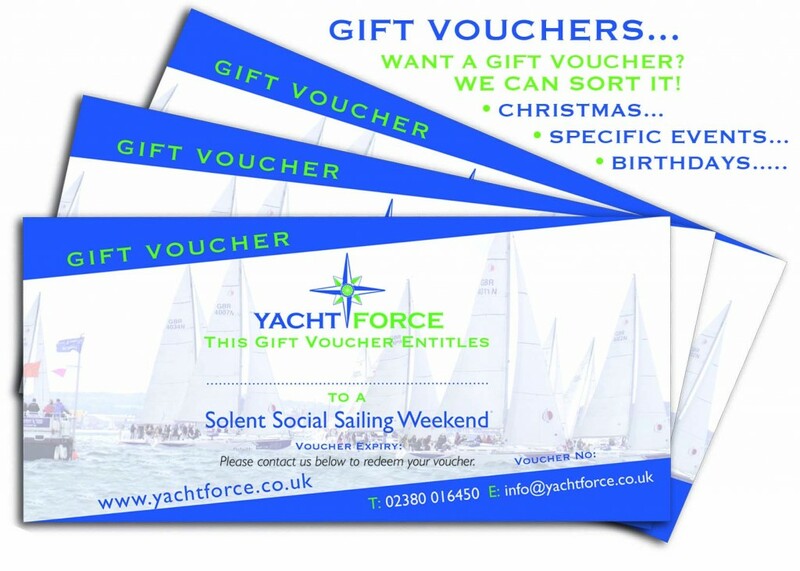 Buy a yacht sailing gift voucher and then let the recipient decide which course dates are right for them. Check out dates on the website – For instance we run weekend sailing experiences every fortnight in season sometimes more often. Vouchers are valid from 12 months from purchase. 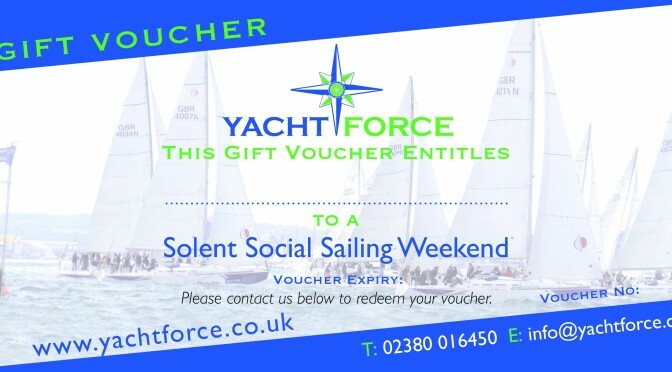 Simply print off the sailing gift voucher that we email to you and you are all set. We will send joining instructions once we have booked the recipient onto a course. Phone in today and we can take payment over the phone and will send a sailing gift experience voucher out immediately! If your event is not on the voucher list – just let us know and we will do our best to accommodate you! Please note that you cannot redeem gift vouchers for cash.